VW door handle. Driver or passenger door handle. VW door handles have a tendency to break when they get old, or when you yank on them when they're frozen shut. To replace it takes only a few minutes and some hand tools. 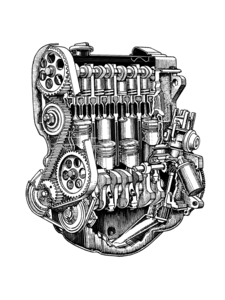 To make sure it doesn't break again, spray the door latch inside the door with WD40 so the mechanism operates smoothly and doesn't stick. 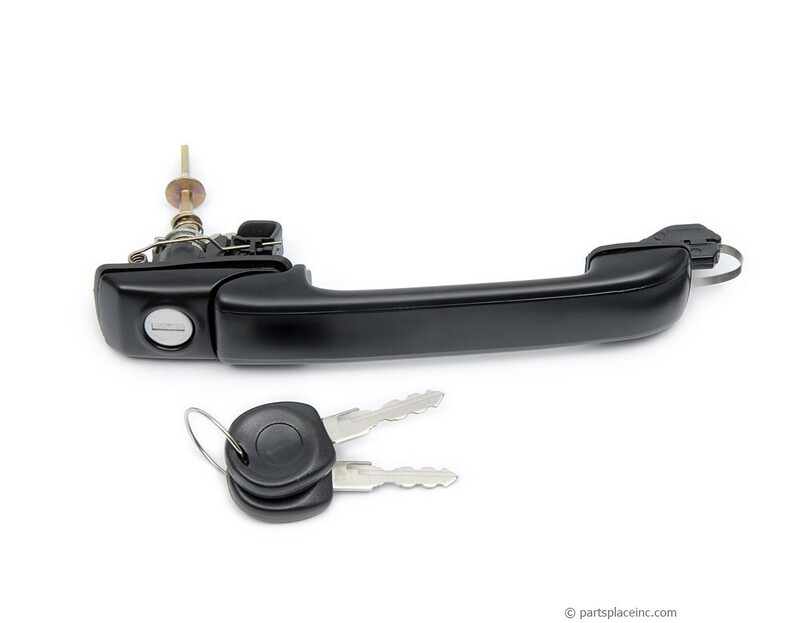 This handle fits both the driver and passenger sides, and includes the keys. 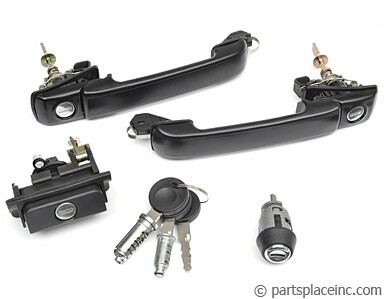 If you need a VW door handle, but want all your keys to match we also have the complete that includes a new glovebox, ignition and door keys for both sides. 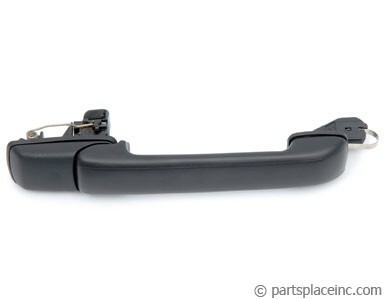 Rear door handles are availble if needed.